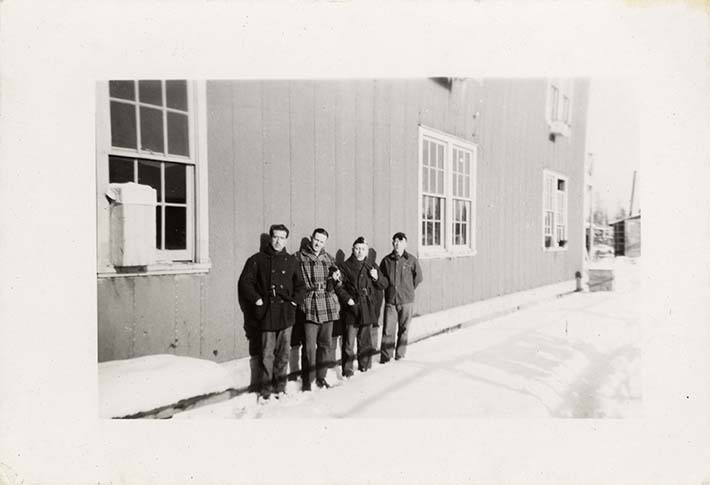 Four internees lined up against an exterior wall of a multi-storey building whose exterior is made up of studded wood planks. Four framed windows are visible. Nello Trasciatti is the second from the left. This image was likely taken at the same time as DICEA2011.0001.0027. NOTE: there is a duplicate print in the collection (DICEA2011.0001.0026).